Cedar boot bags are essential. 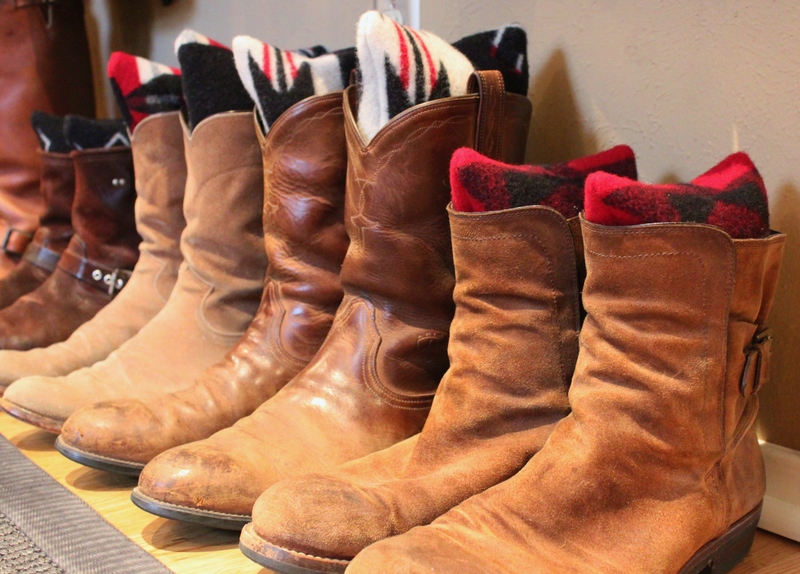 They help boots keep their shape, dry them out, and most importantly, kill odor causing bacteria. 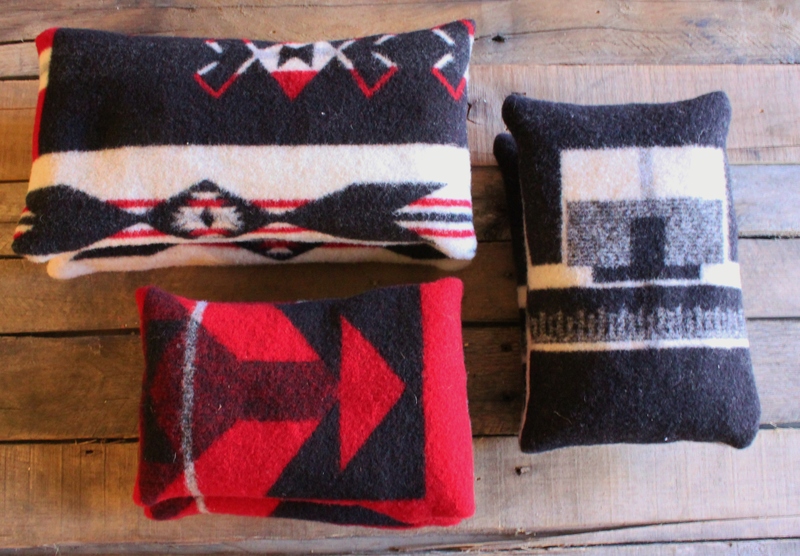 A few years ago a coworker bought a couple of Pendleton blankets to make pillows, and she asked me if I wanted the scraps. 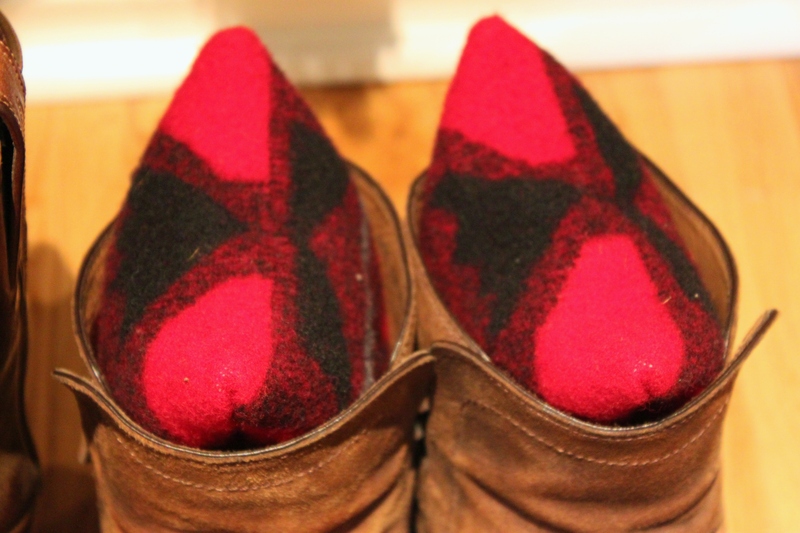 I couldn’t sleep at night knowing that these glorious pieces of red/black Pendleton wool were just rotting in a landfill somewhere. There was really only one thing I could do with all those 8 inch wide scraps. Here’s an easy tutorial to make some enveloped-shaped boot bags of your very own….out of any old fabric. 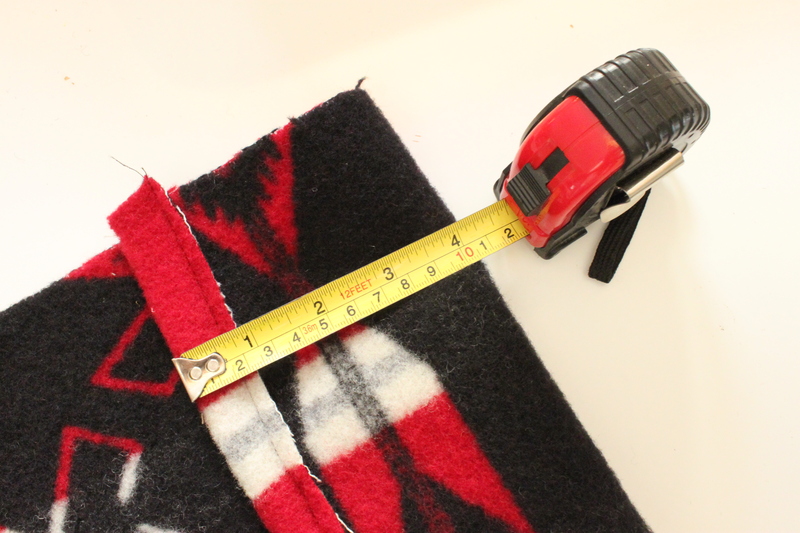 Start with a strip of fabric that’s about 30 inches long and at least 8 inches wide. 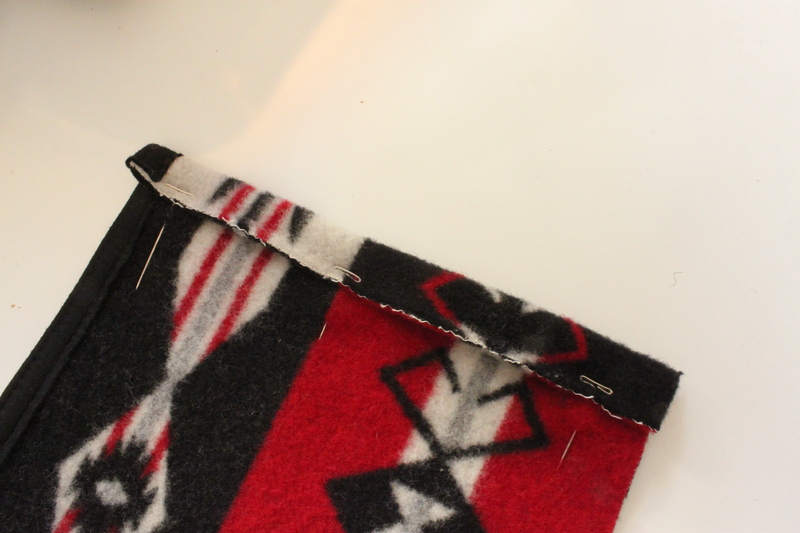 Fold the short edges over about 1/2 inch and pin down. 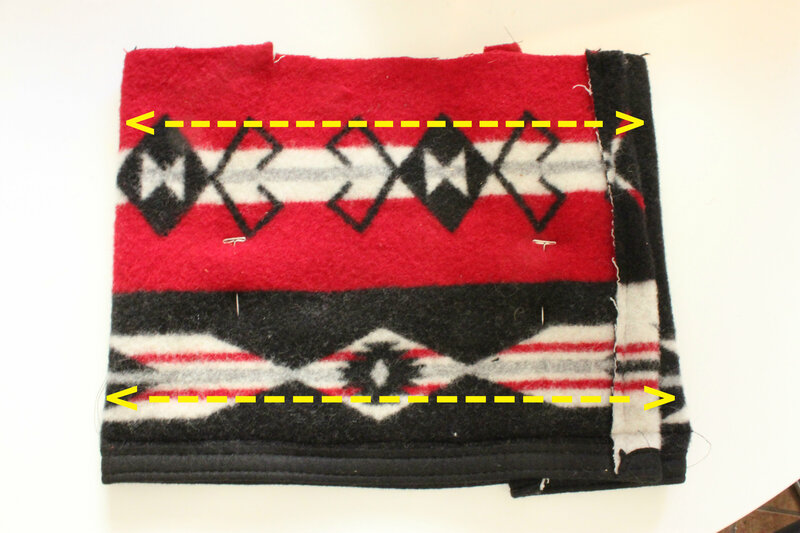 Then sew along the edge…..
After sewing each edge down, flip the whole strip over and fold the top part down about 4 inches. The raw edge should be facing up at you. Then bring the bottom up to almost the top and pin the whole thing to hold it together. Should now have a piece that’s about 13 inches long. I didn’t really try to match any patterns, I just let them land where they would. 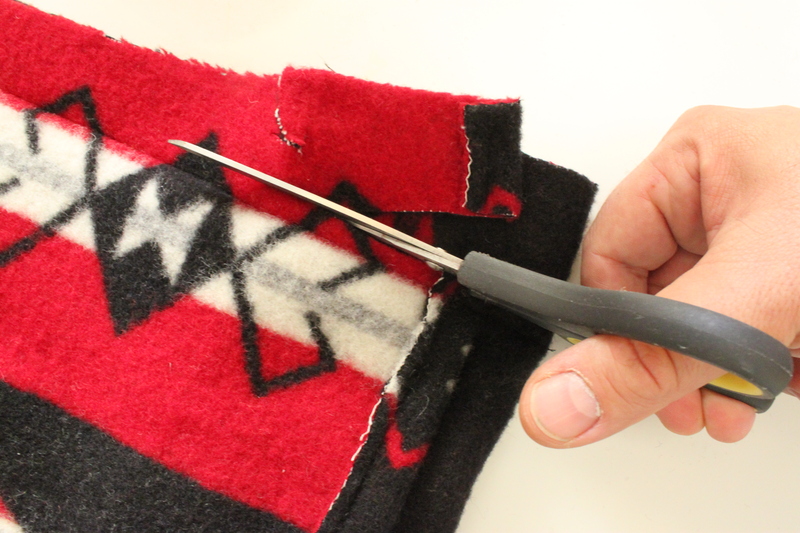 Trim the edges off to about 1/4 inch from the stitches. Now turn the whole bag inside out so the seems are on the inside of the bag…..but leave the top flap unturned. 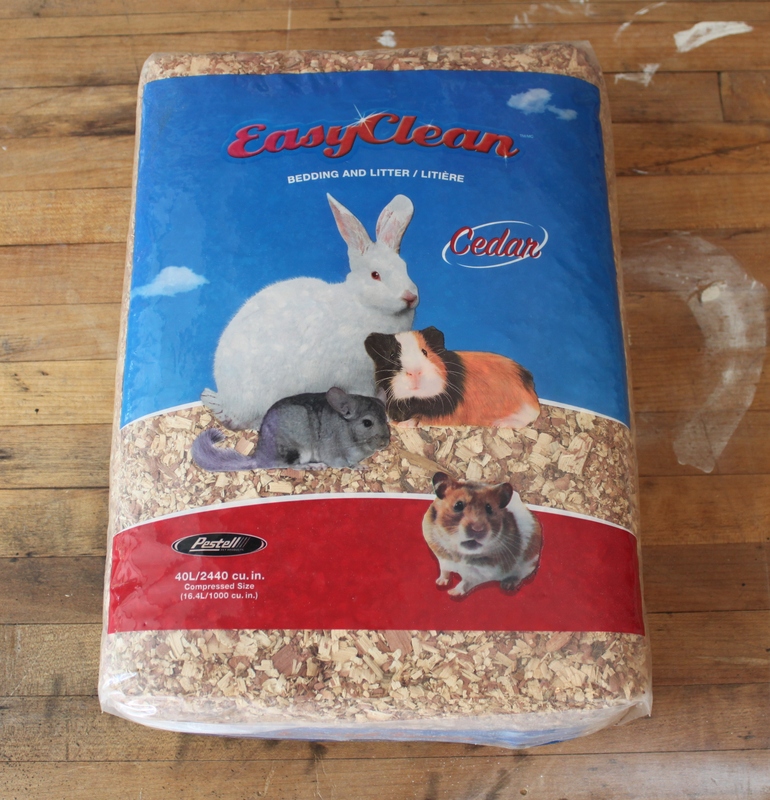 …so you can fill the bags with cedar chips. 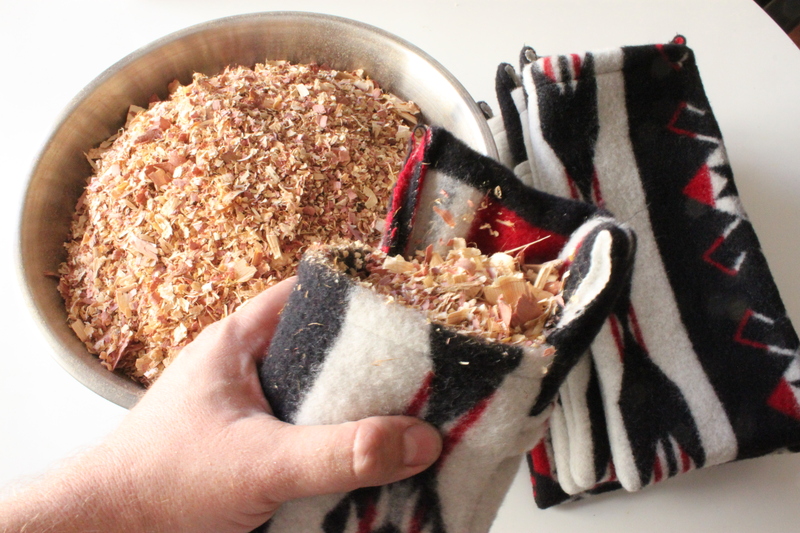 Once your bag is stuffed with cedar chips, “flip” the top over like a closed envelope. It didn’t take me very long to whip out about 10 of these. Even with my minimal sewing skills. Because they aren’t sewn shut, I can always replace the cedar or even just add a few drops of cedar oil in a few years. 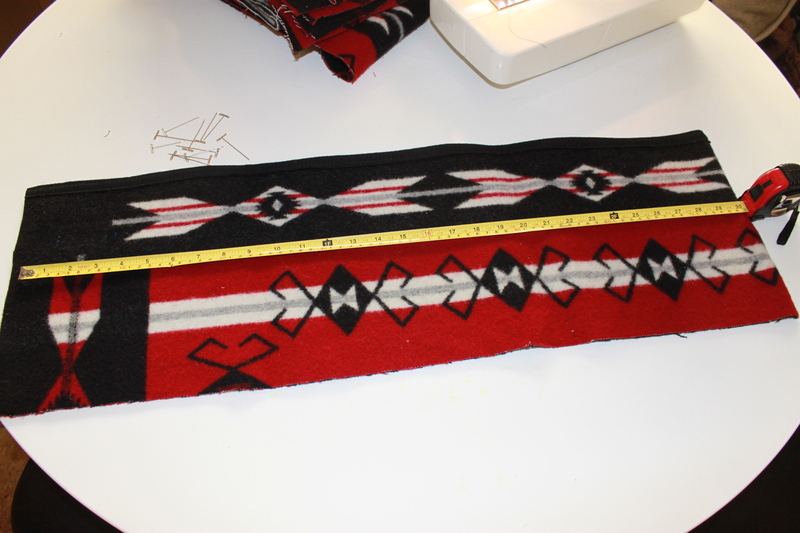 I made a few about 13 inches long for tall boots and a few about 8 inches for our shorter boots. That’s how easy they are. Stick them in your boots and enjoy how fresh they keep them. …..and that, kind readers, is why I never throw anything away. Genius! Now, to find a sewing machine. Or a friend w one! I used to borrow one for years…then finally got my own. Mine doesn’t do fancy things…so it wasn’t very expensive. I use it way more than I ever thought I would…look into buying one…. James! You are magnificent, what a great idea!!!!! Love those scraps! 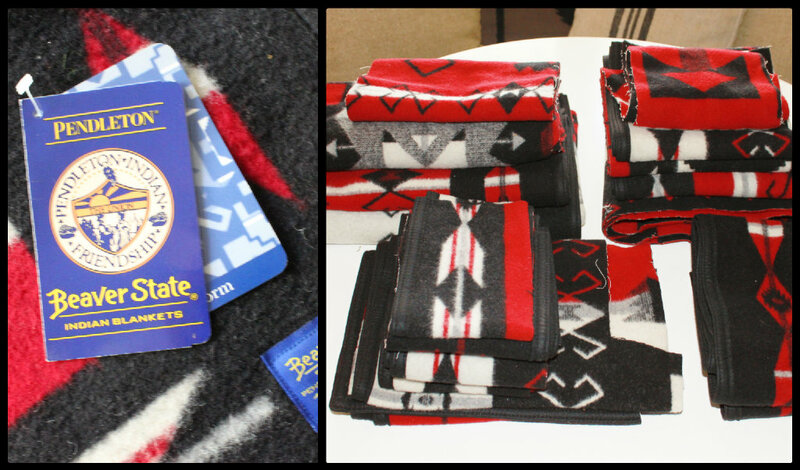 I have 5 Pendleton Limited Edition blankets and I could never cut them up, not even for pillows! Anyway, I love your idea. It’s useful and not many people will get duplicates of this gift! Going to go look in my scraps to discover some fabric worthy of making cedar boot bags into. Barbara, Pendleton sells by-the-yard of most of their fabrics. And there are even some scraps selling on eBay. 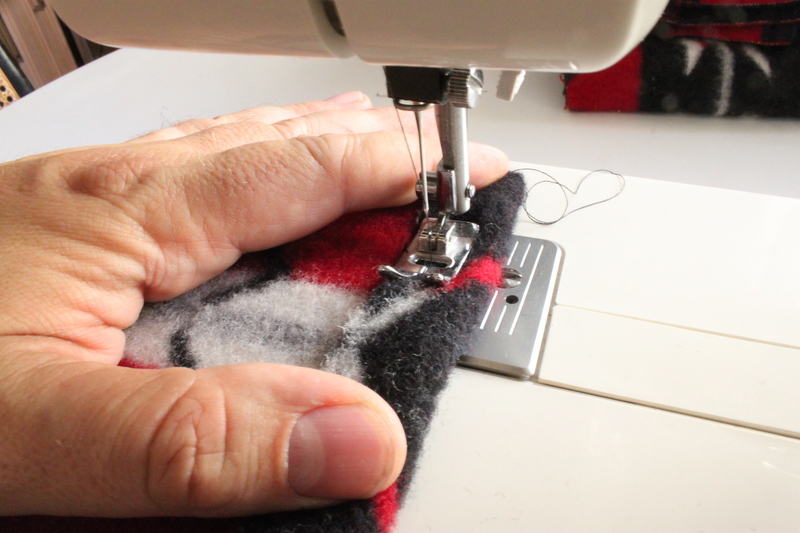 When I make pillows for work..I Always keep the left overs….. Fantastic idea! 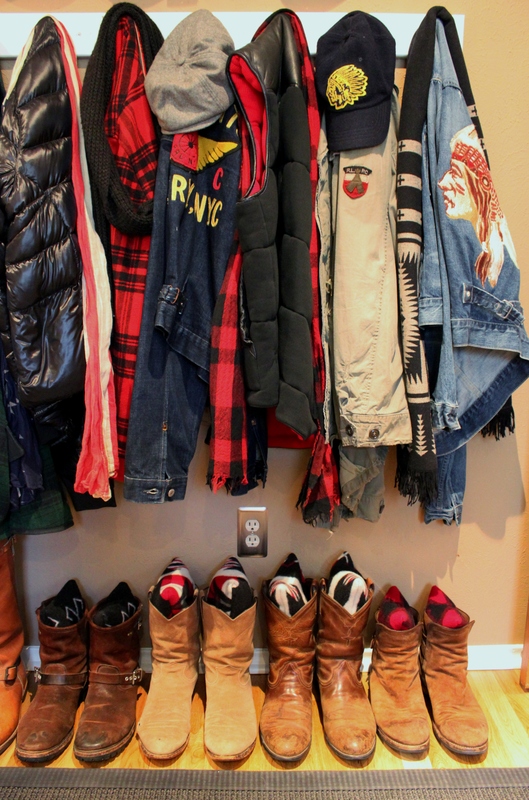 I really love your collection of boots and jackets too.